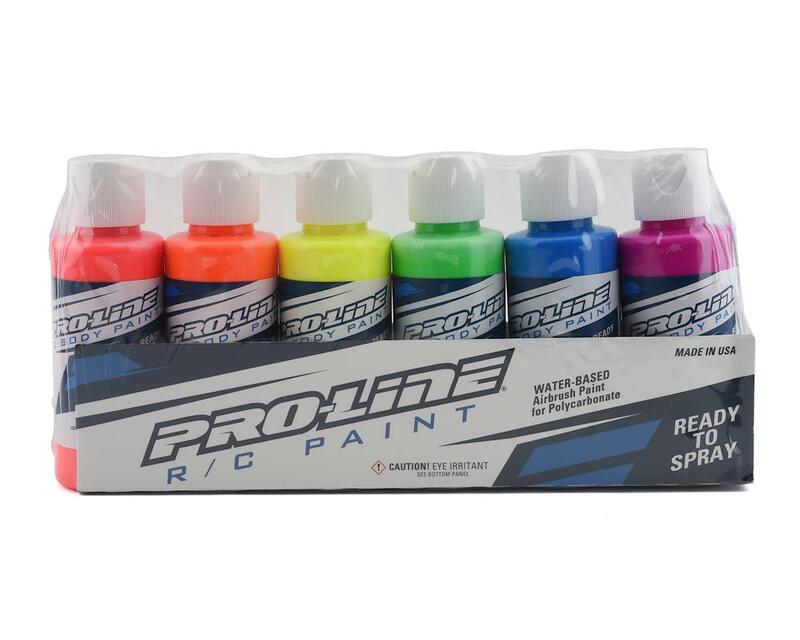 The Pro-Line RC Body Airbrush Paint Fluorescent Color Set includes Fluorescent Red, Fluorescent Orange, Fluorescent Yellow, Fluorescent Green, Fluorescent Blue and Fluorescent Fuchsia - each specially formulated for Polycarbonate. 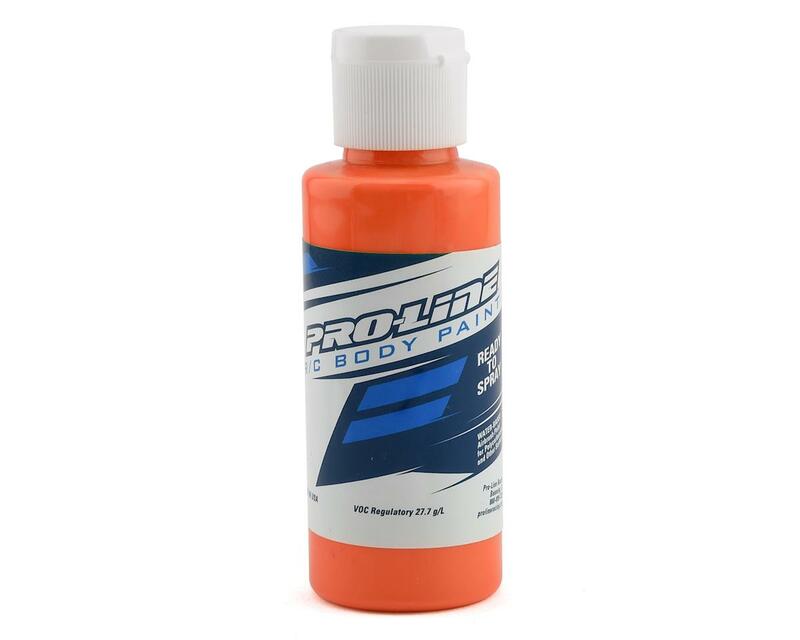 Pro-Line’s Team of Innovators have painted literally thousands of RC car bodies over the years and now offers ready to spray R/C Body paints specially formulated to help you achieve the same jaw dropping results they do. Developed by R/C body painters for painters, this water-based airbrush paint is ultra-flexible, extremely durable and easy to use. Have the confidence that you are spraying the best! Absolute garbage. Did anyone at proline test this? Coats like garbage, dried on tip immediately and if you thin it for detail work out blows out. What a disappointment. Stick to created of faskolor.